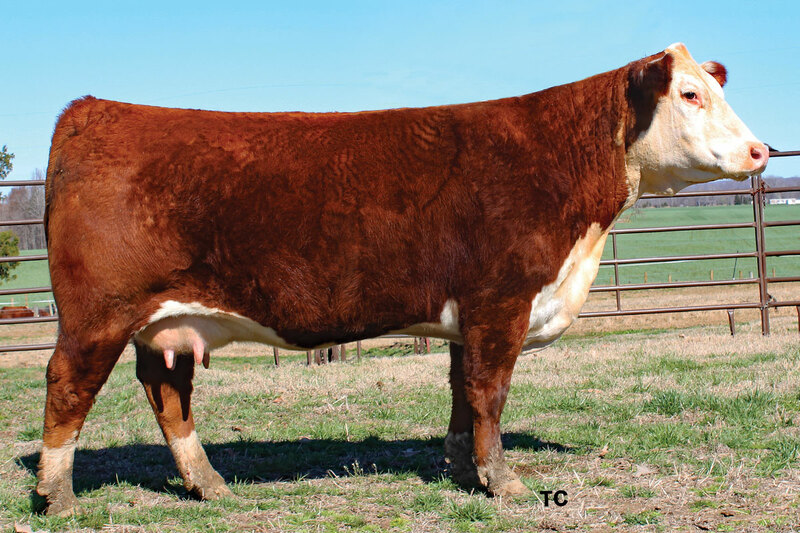 1404 was the topping selling cow in our Southern Belles Sale in 2017 selling ½ interest to Empty Pockets Farm in Lawrenceburg, TN. She comes as close to be an ideal Hereford female as any that we have produced. Just the right size, long bodied and a near, ideal shaped and sized udder make her a nice breeding piece to work with. Owned with Empty Pockets Farm.